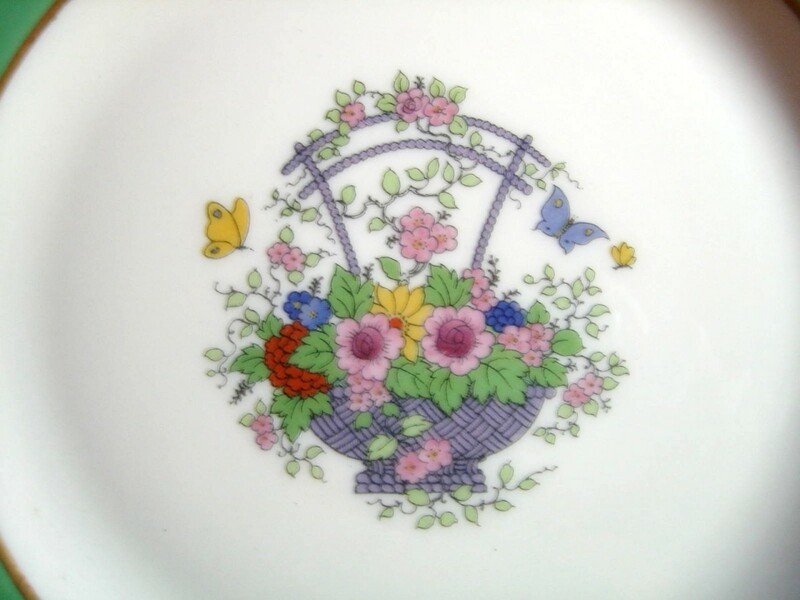 Click the button below to add the Green Rim Gold Butterfly Roses Basket Lenox Plate to your wish list. 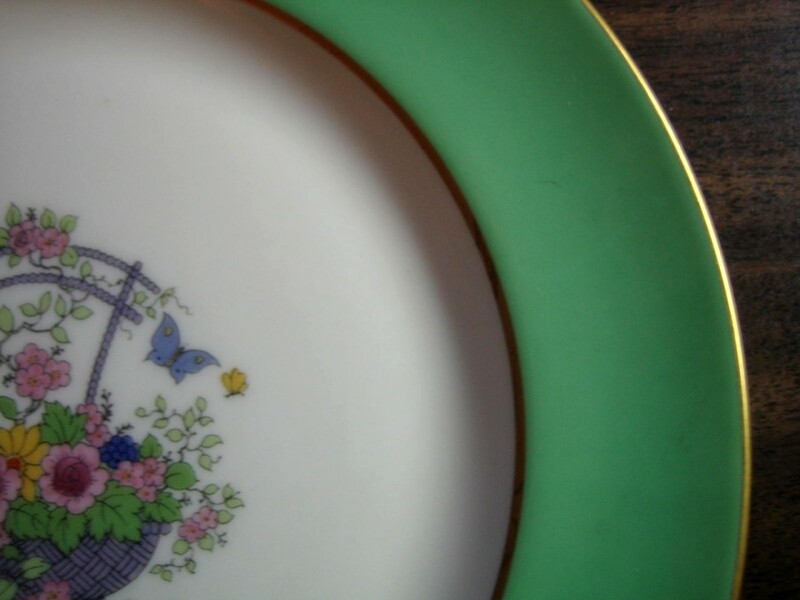 8 1/2 " Fine old Lenox green mark china plate with darling motif. High quality--may be a custom piece (has handpainted 7/S.14.G. on back). Perfect for wall, cabinet, or snack. I have some matching small bowls sold separately.